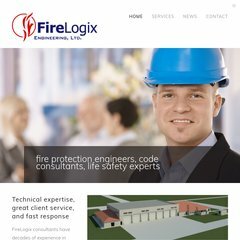 www.Firelogix.com - FireLogix Engineering, Ltd. Peer 1 Network Inc (New York, York) is the location of the SSWS server. It has 4 nameservers, including ns9.san.yahoo.com, yns1.yahoo.com, and ns8.san.yahoo.com. Its IP Number is 65.39.205.54. Pinging the server, resulted in a 30.8 ms response.